In this guide we’re going to look at the Top 5 best VPN choices for use in the Netherlands which will ultimately help you make a buying decision in an ever crowded market. 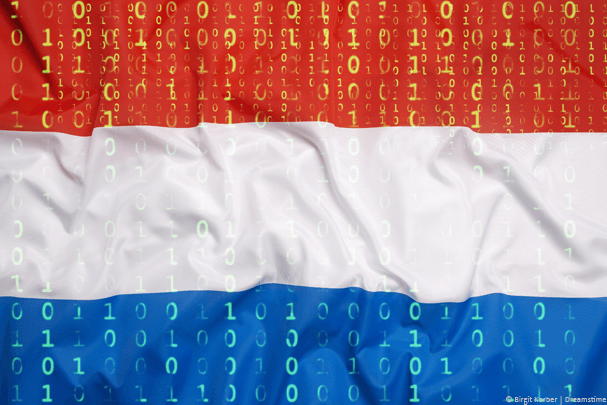 The Netherlands is generally unrestricted when it comes to internet access but recent developments have seen torrent site The Pirate Bay and others blocked on some of the leading ISPs such as Xs4all and Ziggo. Aside from the obvious blocked websites issue there are further copyright issues due to the organisation BREIN that could see you face legal action if you accidentally access copyright material. While the Netherlands has a much more open and free internet access than many other countries there is the continued concern over government monitoring across nations in the EU and so it is imperative that if you live in the Netherlands you take steps to protect your online privacy. Below we’ve rounded up the Top 5 VPN services for use in the Netherlands. IPVanish has a huge presence in the Netherlands with over 66 VPN servers in Amsterdam alone. It’s actually one of the most well supported countries out of their entire network. With the Netherlands being an internet hub for much of Europe speeds on the service are excellent making it possible to download and stream large video without interruption. Apps are available for both Android and iOS mobile and tablet devices with software for Windows and Mac computers. There is even an Amazon app which works well with both the Fire TV and Fire TV Stick. You’ll especially appreciate the Amazon app if you’re a Kodi user because you can protect what you stream. Torrent access is allowed on the service and you can connect to plenty of nearby countries to access blocked websites. In fact, there are more than 60 countries across the world that have VPN servers so there is plenty of choices. NordVPN is great for use in the Netherlands purely because of the staggering amount of features they have available tailored to Netherlands use. As well as having a huge number of standard servers in the Netherlands they also have additional specialist servers. The first is their double-hop servers that pass your data through two different locations from the Netherlands to Russia, Sweden, Switzerland or the United Kingdom. They also offer the double hop service in the opposite direction from the four mentioned countries ending up in the Netherlands. The double-hop servers give you an added layer of protection passing your data through two countries and in the case of Switzerland and Russia even outside the EU. VPN servers over Tor are also available in the Netherlands which are one of only three locations in the world to offer this service. Additionally there are servers specifically for P2P use, dedicated IP servers and obfuscated servers all available in the Netherlands. ExpressVPN also offers good support in the Netherlands being one of few providers that offer servers outside Amsterdam. Both Amsterdam and Rotterdam servers are available on the service giving you additional choice. With servers and virtual locations in over 94 countries across the world ExpressVPN has one of the biggest range of choice when it comes to connection points. If you want to unblock services from a specific country then they’re one of the best options. Our favourite feature of the service is the huge 30-day money back guarantee that is available. It allows you to test the service in the Netherlands risk free and if you find it’s not suitable then you can easily get a refund. Apps are available for all Android and Apple mobile and tablet devices and there is software for Windows and Mac laptop and computer systems. There is an additional Ubuntu Linux client so you’re covered too if you’re an advanced user. If you’re an advanced user and you’re looking for multiple encryption options then VPN.ac should definitely be your first port of call. They offer advanced encryption options such as OpenVPN-256 bit, OpenVPN XCC and OpenVPN XOR. There aren’t quite as many server locations across the world which is one of the only negatives of the service but it’s definitely a case of quality over quantity. We found the service to have some of the fastest speeds we’ve seen and with 16 servers in the Netherlands you’re certainly not under-resourced for local connection. A good range of double-hop VPN servers is available across the world with US east coast to the Netherlands and UK to the Netherlands being some of the local options. VPN.ac is a little expensive if you opt to pay monthly but if you commit to a full year service then they actually become one of the cheapest services. Proxy.sh is one of the leading VPN services for privacy features. The offer a wealth of additional features such as a warrant canary and transparency policy which give added protection if you’re a user of their service. They also offer the ability to change your login details to token based so even Proxy.sh themselves don’t have any details of who you are when accessing their service. 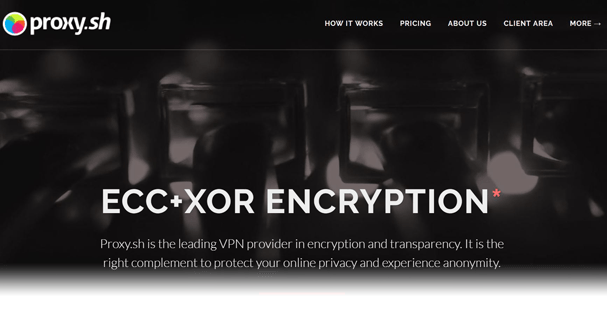 Like VPN.ac above they are one of only a few providers to offer advanced encryption modes such as XCC and XOR so if you value your encryption choices then they make a good option. Servers are available in over 57 countries with more than 16 servers available in the Netherlands alone. One nice feature is you can connect to an individual server if you wish. Proxy.sh is registered in the Seychelles which puts the company outside EU regulation and away from countries which are part of the five-eyes spying group. All that’s left to do now is choose one of the above 5 providers and sign-up. They’re all suitable for use in the Netherlands so you really can’t go wrong no matter which you end up choosing. Just select one, sign-up and enjoy privacy protection and a free and open internet access in the Netherlands.